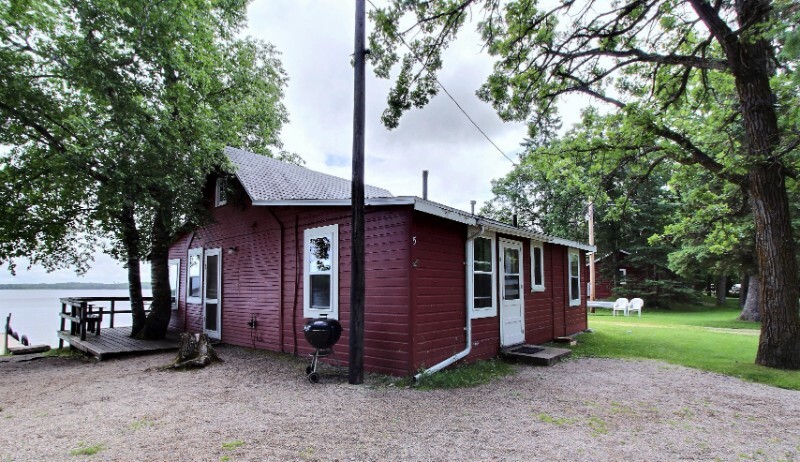 Cabin 5 is a spacious 5 bedroom cabin with a recently modified/updated kitchen. You can't get any closer to the lake than with this cabin with the front picture window just 2-3 feet from the water. Each bedroom has one full bed. There is carpeting thoughout. This cabin has a 3/4 bathroom. This cabin comes with two boat slips. Cabin is pet friendly with prior approval.